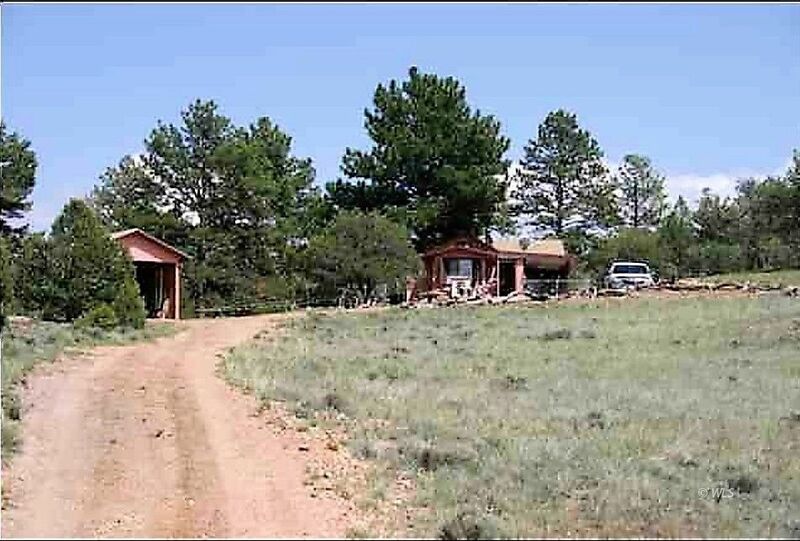 A charming, tucked away, off grid cabin sits on 35.65 pristine acres consisting of lush meadows, tall ponderosa pine, pinon pine with no HOA, amazing views and its own seasonal spring! This 1 bedroom, 3/4 bath with living area, kitchen, outdoor cooking area and loft has so much to offer. If you are looking for a hunters cabin or personal getaway, then this is it.....neighbors are not close, BLM nearby with plenty of stars and wildlife to enjoy. Most furniture is included and there is a 250 gallon water storage container connected to a solar pump that brings water to the cabin. Power is a small solar system with a back up generator. 4 X 4 recommended in bad weather, parts of road are rocky, a nice getaway!